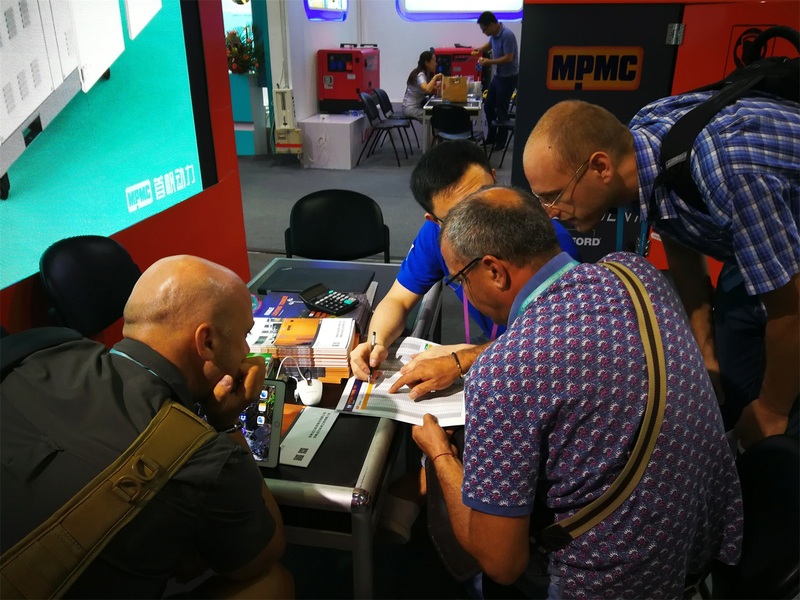 MPMC attracted many domestic and foreign customers to the booth in the 122nd Canton Fair because of its brand appeal and technical advantages. 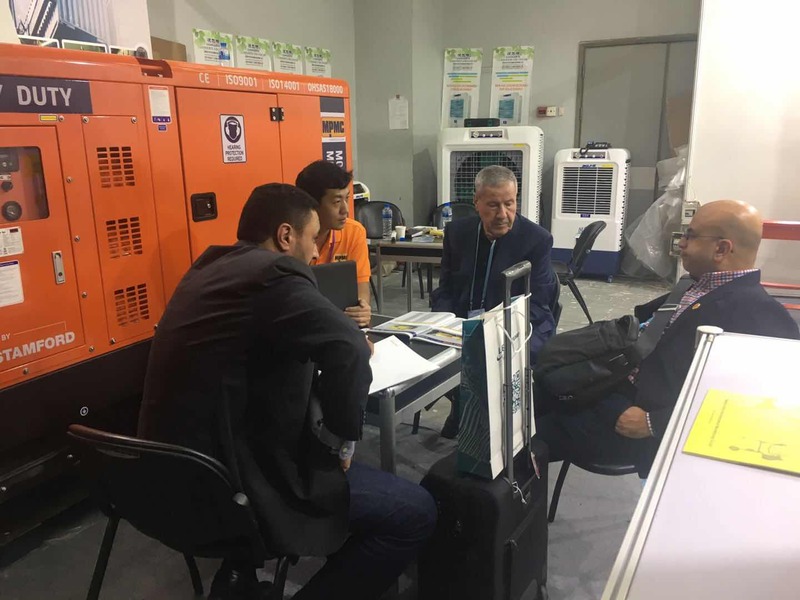 As World leading smart cloud supplier of power solutions, MPMC never forgets the original mind, keeps the mission in mind, goes ahead bravely, and always adhere to put the quality in the first place for 9 years, so far its scope of service has radiated 108 countries and regions, and occupied the market in many fields. 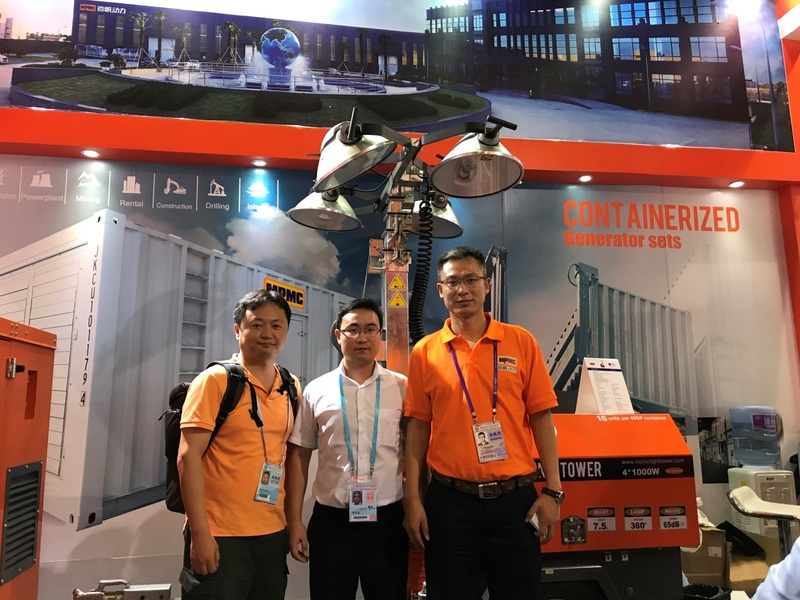 The generator set, lighting tower and hybrid energy products of MPMC achieved the praise of domestic and foreign merchants by its superb production technology, superior product quality, unique design, the scientific and reasonable design of air outlet and intake. 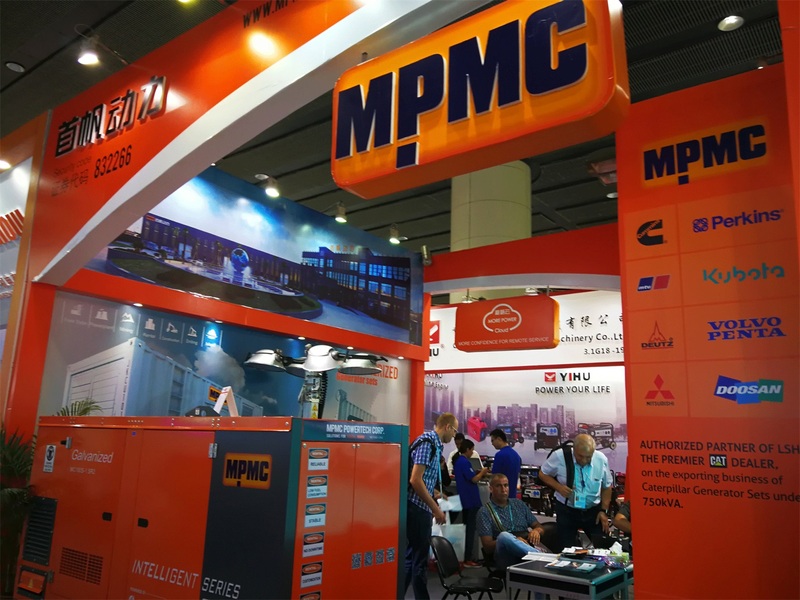 MPMC opens up the road to overseas brand creation with its strength and refreshes global users’ cognition for “Made in China” with its quality of products. 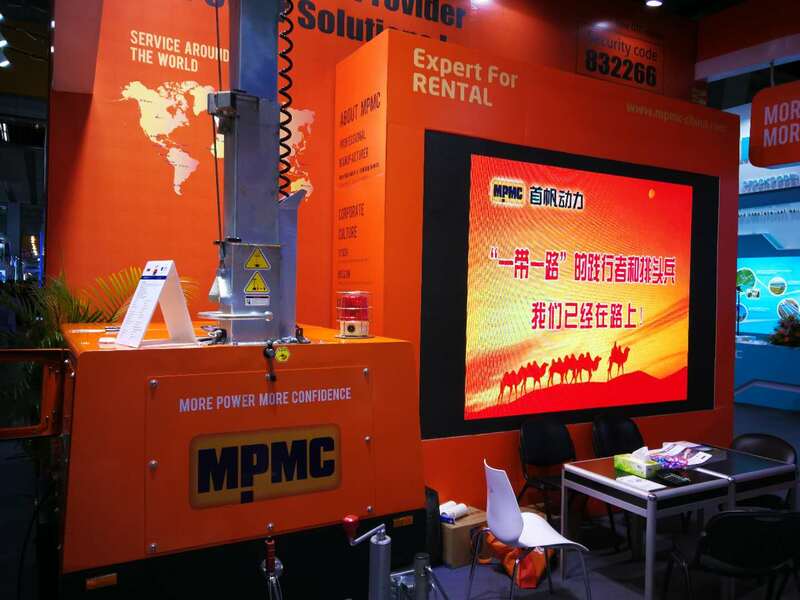 MPMC lighting tower makes the booth brighter. 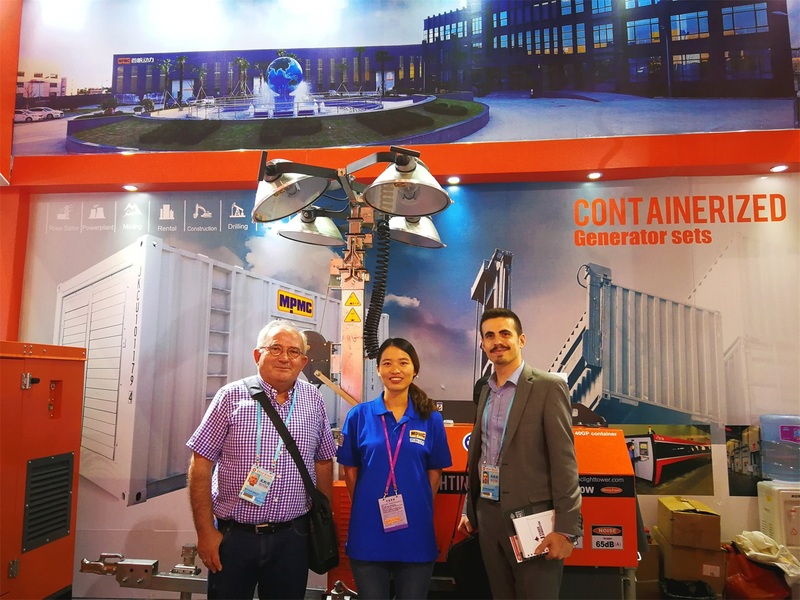 The graceful and exquisite silent diesel generator set and new manual mobile lighting tower have beautiful orange color and attract many customers. 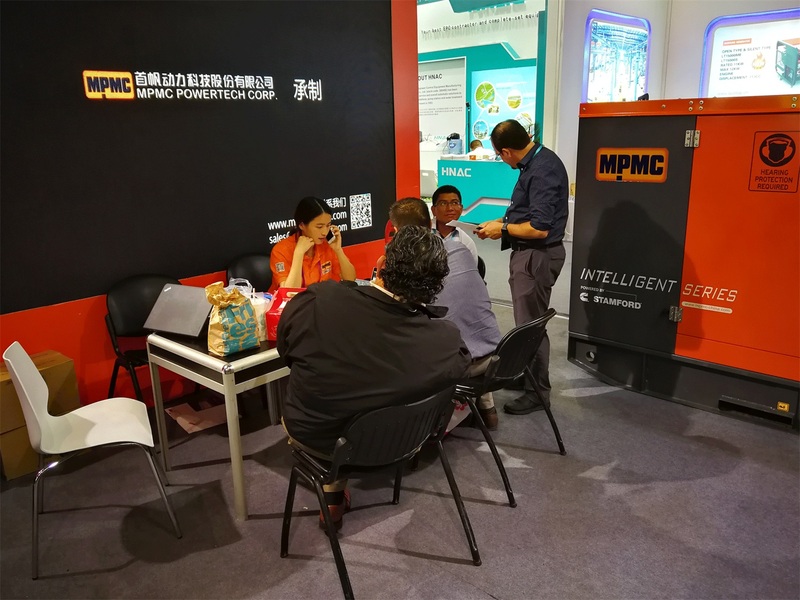 In the face of changing market, MPMC maintains innovative ability continuously, enhances the overall strength and competitive advantage, and seizes market share through expanding product categories. 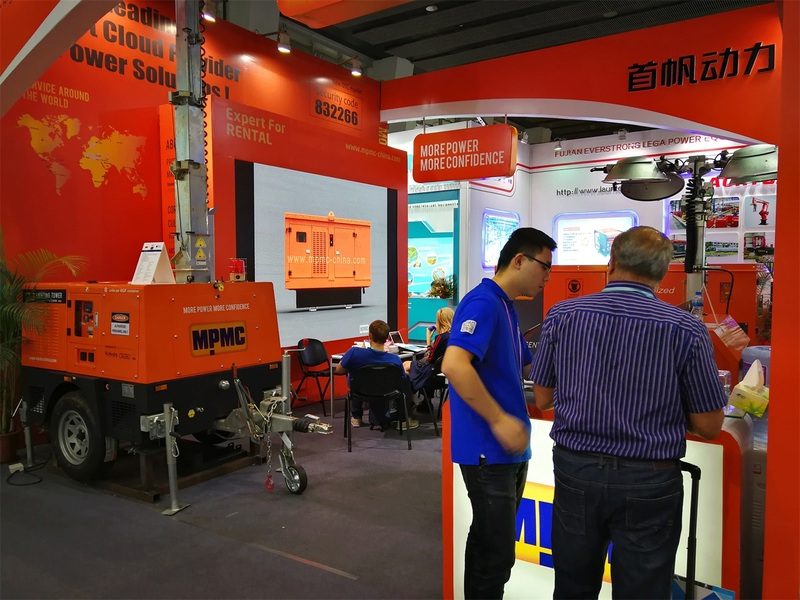 In 2017, MPMC starts to sell CAT generator sets. 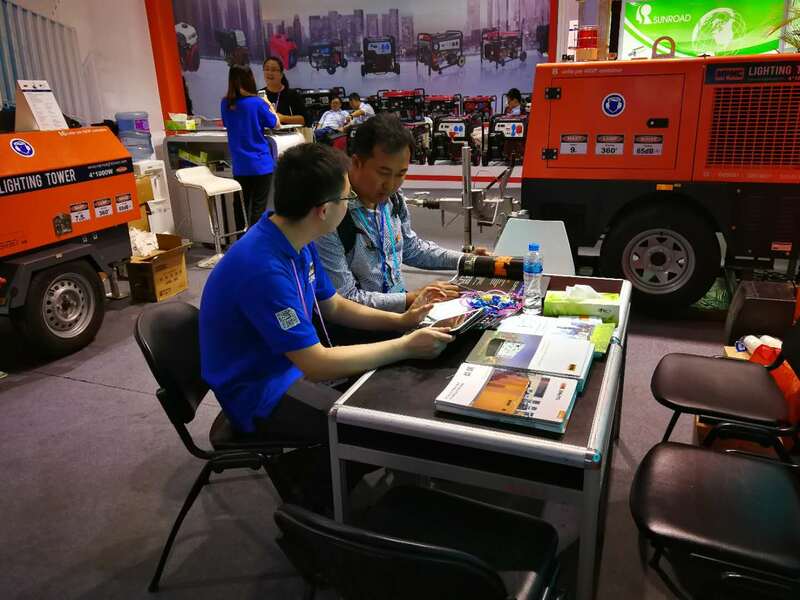 Coincidentally, some customers want to cooperate with MPMC in the business of CAT generators during the Canton Fair. MPMC never stops innovating. 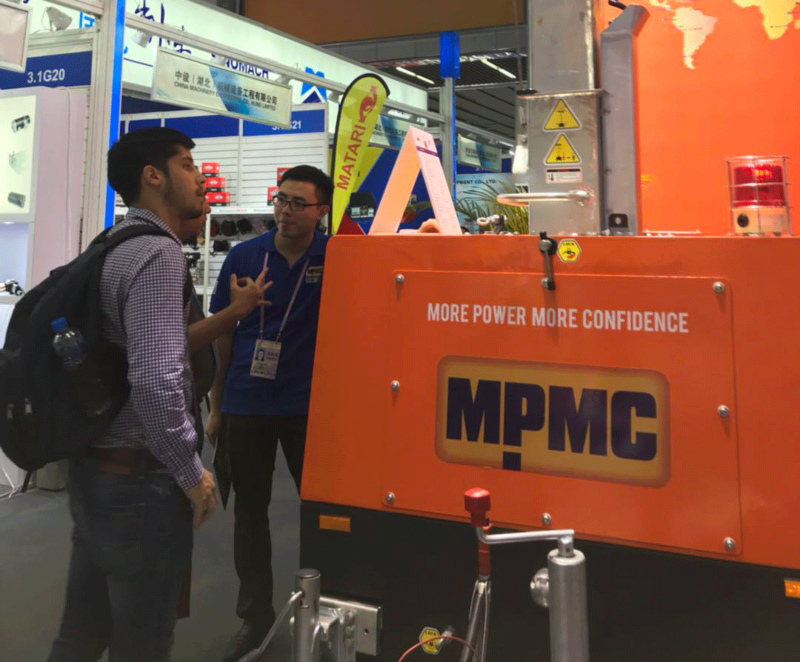 MPMC adds a new booth at the 4.1 exhibition hall. 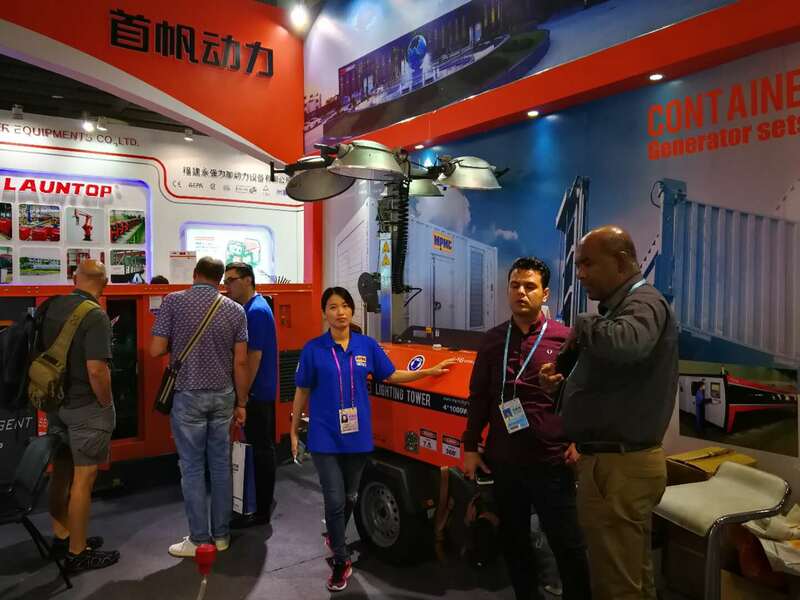 Its generator set and lighting tower attracts many customers and achieves affirmation. 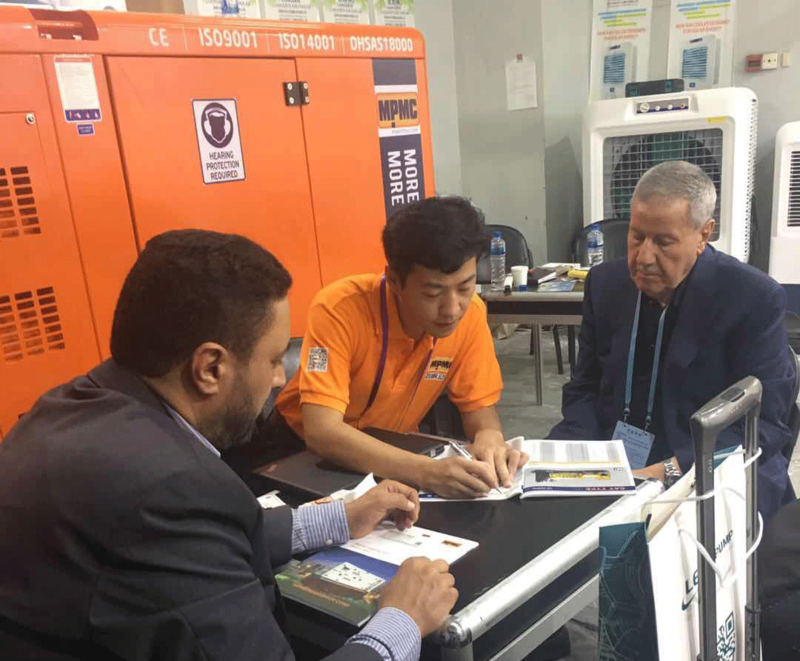 The 122nd Canton Fair was held successfully. 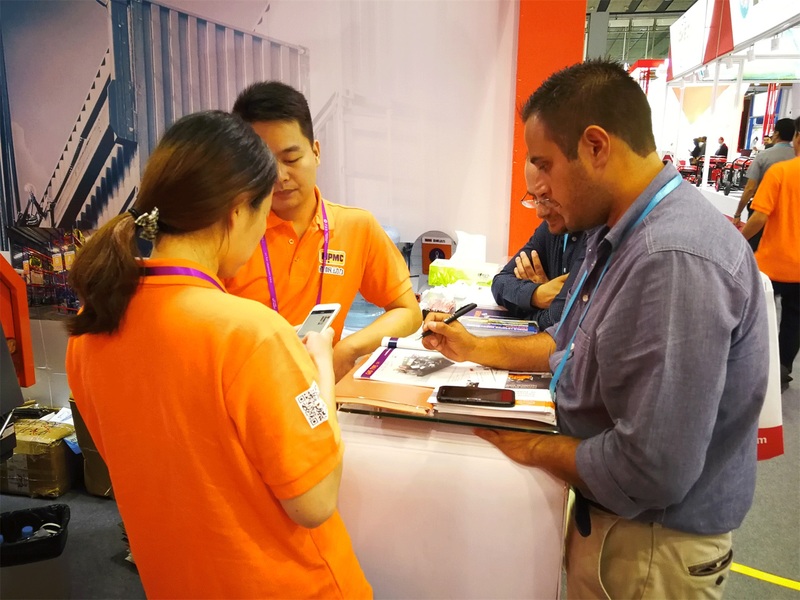 MPMC implements the policy of” the Belt and Road”, inherits the core value of "profession, responsibility, Innovation, cooperation" and do "Create in China" a favor. 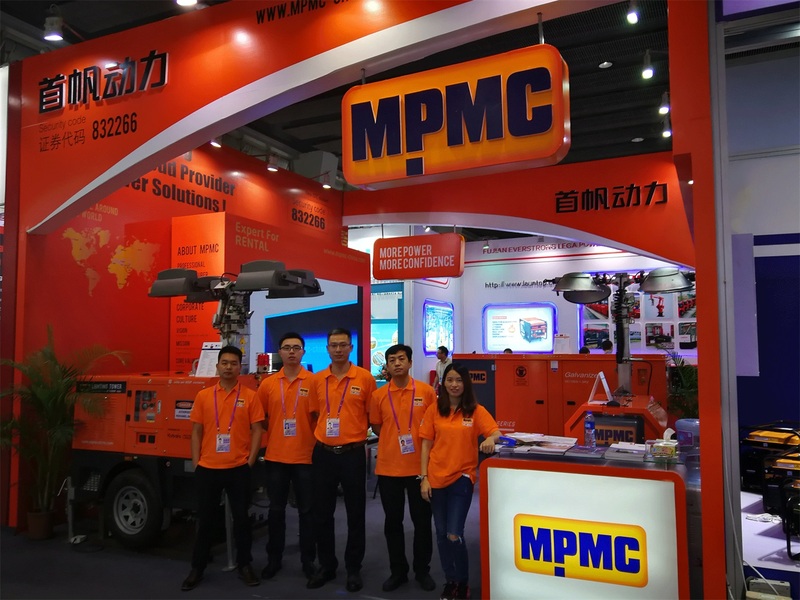 MPMC looks forward to meeting you again in the 123rd Canton Fair!